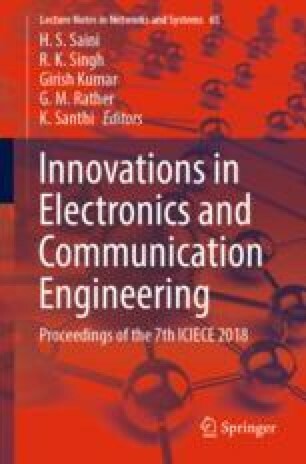 The paper discusses the usage of Internet of Things utilized for remote checking of the encompassing physical parameters and different stuffs with the utilization of sensors that for remote detecting of continuous information and move them into the coveted shape and forward the detected information over the system cloud by means of ‘Web Connection’ . Here, the venture work manages the IoT ‘ThingSpeak’ web server which is a liberal open API server that goes about as a host for the assortment of sensors to screen the detected information at cloud. And furthermore introduces an adaptable home control and observing framework utilizing an installed small scale web server, with IP network for getting to and controlling gadgets and apparatuses remotely utilizing Android-based smart telephone application called Blynk. This process utilizes Wi-Fi Modules that procedures and exchange the detected information to the ThingSpeak Cloud and controlling the gadgets through App. The model was tried to produce constant data graphically over thing talk website page and on Blynk App as well.